Seeing as Apple Inc. (NASDAQ:AAPL) is scheduled to report its Q2 FY2013 financials today, it will be especially important to see how any particular key announcement affects individual and institutional Apple shareholders, including those operating in the hedge fund space. With this in mind, it is worth looking at the major hedge funds invested in Apple, and how they were adjusting their positions for the year 2013. We have compiled a list of the top 10 hedge funds with maximum exposure to Apple Inc. (NASDAQ:AAPL) shares, focusing on long-only holdings–no options are in play. In this list we have the hedge fund’s name, manager information and a link to their full profile, the size of each position as of the fund’s last 13F filing with the SEC, market value at the current market price, and quarter-over-quarter change in the size of the position. The weight that Apple also has on the fund’s 13F portfolio is also included in the discussion. The following Apple Inc. (NASDAQ:AAPL) list has all of the hedge fund world’s biggest names, like D.E. Shaw, David Einhorn of Greenlight Capital, Ken Griffin of Citadel Investment Group, and David Tepper’s Appaloosa Management LP, to name a few. Generally speaking, hedge fund sentiment isn’t a metric that is used by many retail investors, but our research has shown that those who pay attention to bullish activity have been handsomely rewarded trouncing the S&P’s return in the process. You can learn more about the phenomenon of hedge fund activity here, on Insider Monkey, your source for all things related to the smart money. It’s worth pointing out that Apple Inc. (NASDAQ:AAPL) isn’t hedgies’ favorite stock anymore–that title would have to go to AIG–but it’s still extremely popular among the ranks. The industry’s full interest among the funds we track can be seen here, on Apple’s profile page. 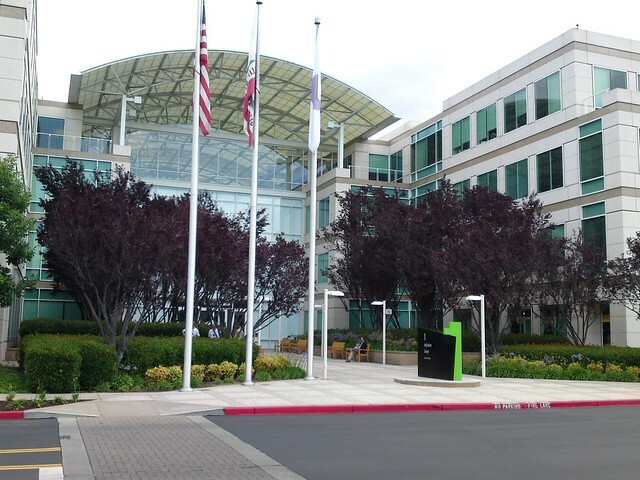 The image of Apple Inc. (NASDAQ:AAPL)’s HQ above was taken by kalleboo, and was originally featured in this article: Apple: 5 Insane Images Of The New HQ.